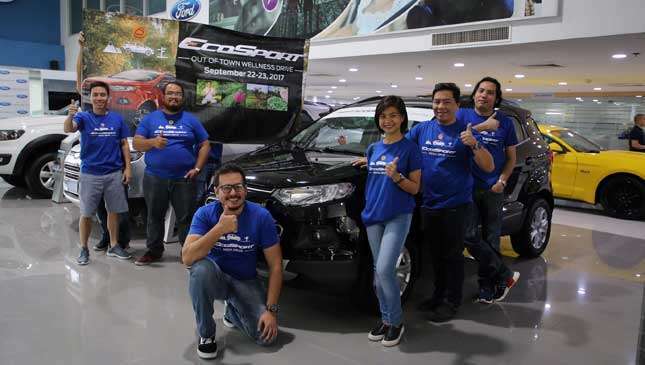 Though it was the typical Friday morning rush on September 22nd, some of our media friends and I gathered up at Ford Global City for a not-so-usual type of motoring journey. 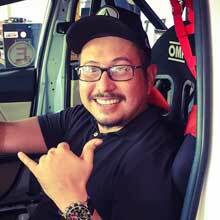 Based on the e-mail and itinerary sent to us by Ford Philippines, it felt like we were going to "slow" things down rather than get our adrenaline pumped up. Apparently, the Ford team knows what's good for us industry folks given the stresses we face from our daily grind. 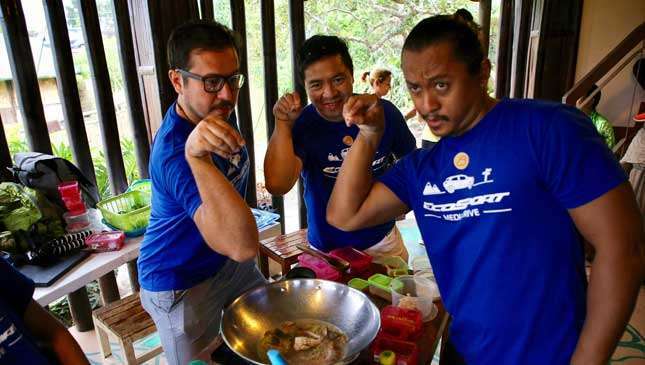 So, they concocted a day-long menu filled with healthy, torso-stretching, zen-inducing activities and challenges. The place? 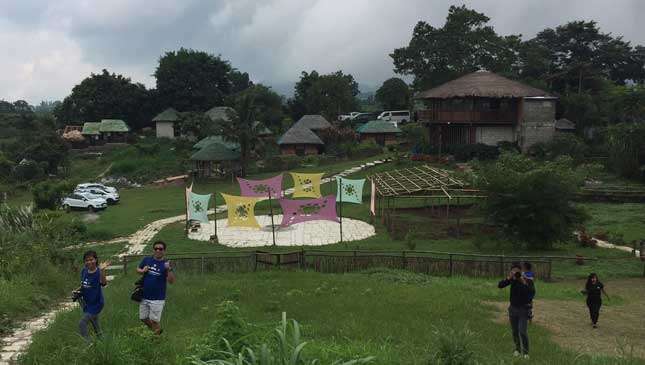 Tagaytay. The vehicle to get us there? 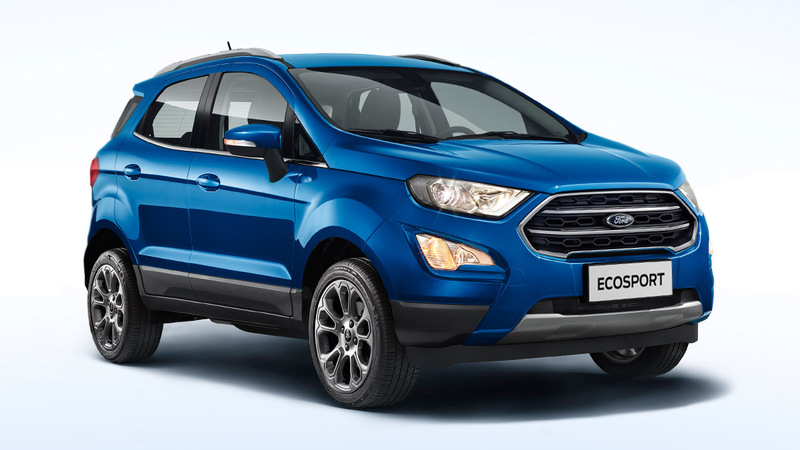 The Ford EcoSport. 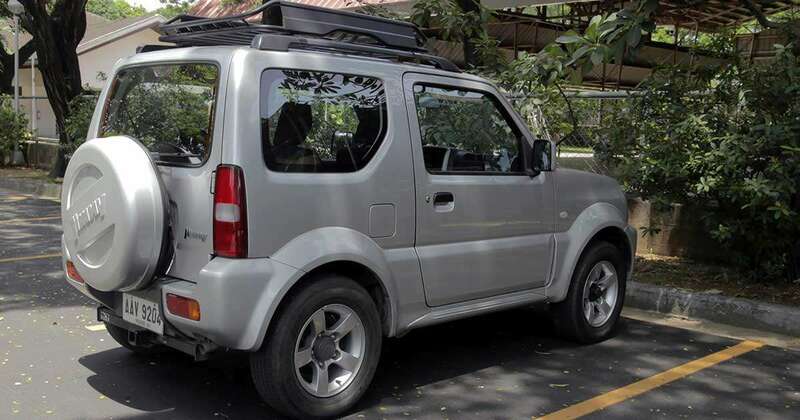 After being briefed on the mechanics of our convoy and trip, our team hopped into a silver EcoSport (Trend variant). 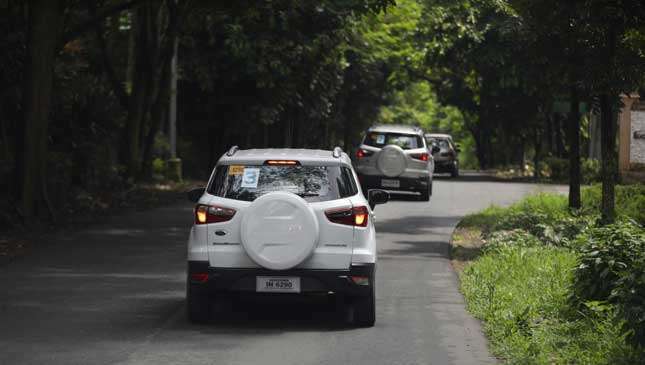 As our convoy departed from Global City, I began to familiarize myself with the driving feel of this popular crossover and started appreciating what it offers. Early into the drive, we were given our first challenge, which was a trivial one, involving the use of the hands-free, voice-activated Ford Sync system. This feature keeps you focused on the road while being able to use the proprietary infotainment set-up of the EcoSport, allowing us to enjoy the scenery going up to Tagaytay. Surprisingly, ride comfort was better than anticipated, given the rough patches we encountered along the way, adding to the whole stress-free goal of the event. Our group finally arrived at Daila Farms where we spent the bulk of the day being entertained and enlightened by the village hosts Benjamin and Amalia. The couple gave us the tour showcasing what clean, sustainable living is all about. 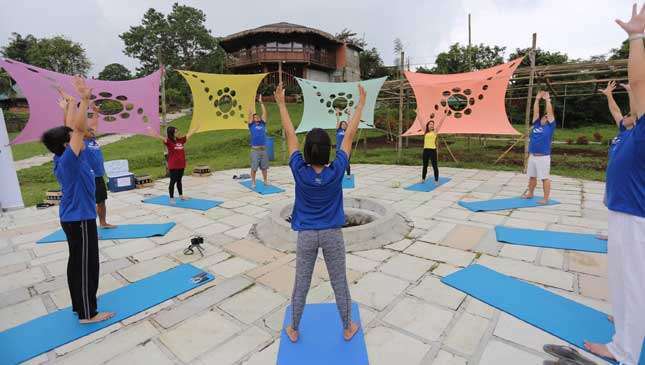 Of course, a wellness experience wouldn't be complete without some yoga and meditation, care of our friends from Flow Retreats. 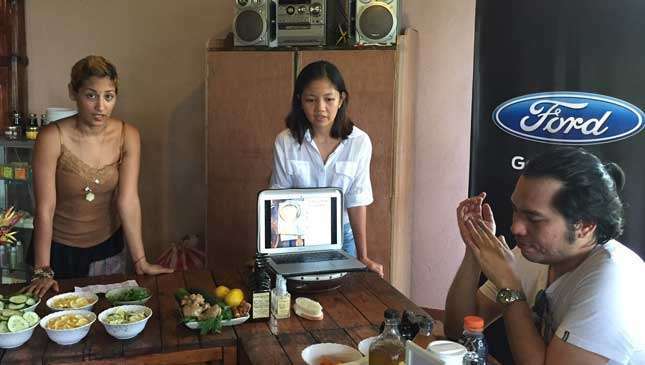 They also shared helpful tips on detoxification, nutrition, and easy alternatives to improving one's health. 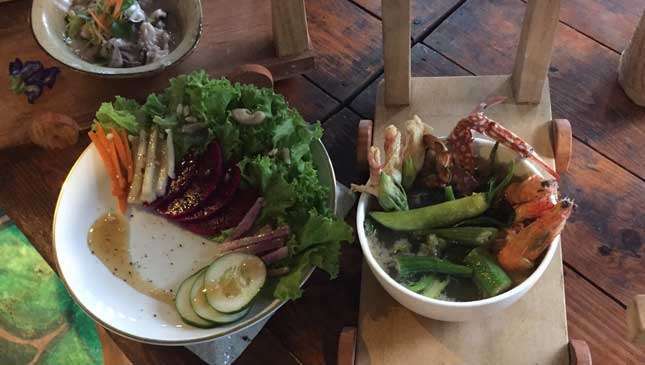 The height of the afternoon was a competitive cook-off between the teams with fresh seafood and harvested greens we collected from the in-house farm. Our A-game attitude proved victorious in the end as we won the taste buds of the judging chefs and wellness gurus. As the day came to a close and gray skies finally unleashed some heavy precipitation, nothing seemed more appropriate than an endorphin-releasing massage. 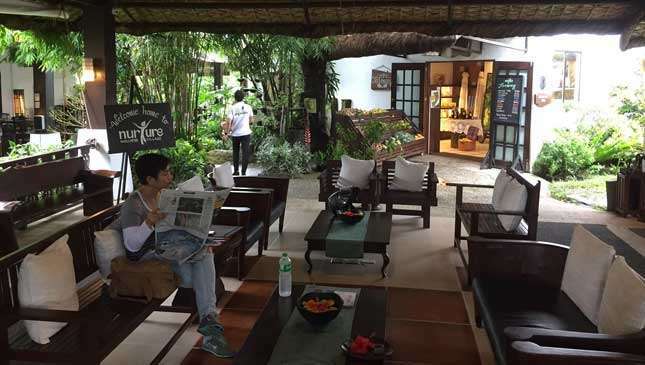 After bidding our group a pleasant evening, my bunkmate and I indulged in Nurture Wellness Village's spa services and snored the night away. The dawn greeted us with more wet weather and thick fog as we traversed back to Manila. 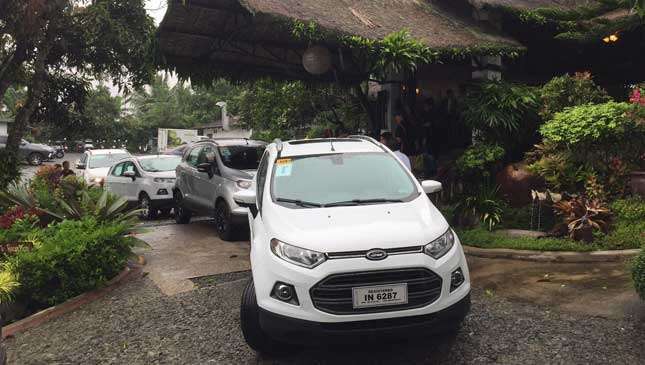 We enjoyed piloting the hip and able EcoSport through muddy roads and winding highways. That was one unique experience we're grateful for. Now, where's my steak?